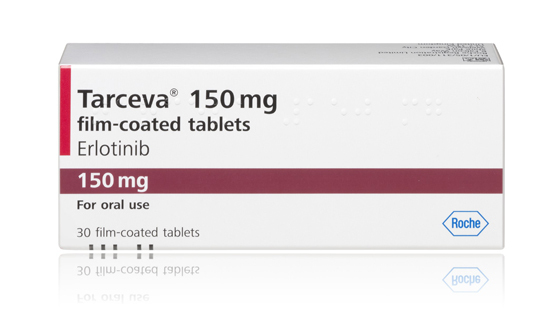 The UK's National Institute for Health and Clinical Excellence (NICE) has issued final draft guidance recommending Roche's Tarceva to treat certain cases of lung cancer. The guidance means that the drug is now one step away from being available for reimbursement on the NHS in England and Wales as a first-line monotherapy for the treatment of patients with advanced non-small cell lung cancer (NSCLC) who have an EGFR-activating mutation. If approved in final guidance, Tarceva (erlotinib) would compete head-on with AstraZeneca's Iressa (gefitinib), although NICE's most recent recommendation comes despite a lack of a direct comparison between the two products. Previous NICE guidance had suggested reservations about recommending the drug, with the cost-effectiveness body issuing a request in February that Roche provide further information concerning the drug's use in its NSCLC indication. “During this period, the manufacturer of erlotinib provided these further analyses and the committee were able to recommend erlotinib as a cost effective use of NHS recourses,” said Professor Longson. As with Iressa, Tarceva would also be made available under a patient access scheme, meaning the drug would come at a reduced rate but the size of the discount agreed between Roche and the Department of Health remains confidential. The regular cost of a pack of 30 tablets comes to £1631.53 and the recommended dosage is of one 150 mg tablet per day. Iressa, meanwhile, is available on the NHS at a single fixed cost of £12,200 per patient, although patients who undergo only two or three months of treatment effectively receive the drug free of charge as AstraZeneca does not invoice the NHS until the third month of use. Both drugs are tyrosine kinase inhibitors (TKIs), which work by interrupting signals travelling through epidermal growth factor receptor (EGFR), stemming the proliferation of cells. According to Roche, about 11 per cent of patients with NSCLC have the EGFR mutation. Final guidance from NICE is expected in June 2012.